Based high up in the Haute-Savoie region of the French Alpes, EASY Snowboards are all about making affordable snowboards that their retailers can make good margin with. With no better testing ground than the Espace Killy on their doorstep, Co-Owner Nico talks product tech and their appreciation for the changing retail landscape. Please give an overview on how and why Easy Snowboards began? 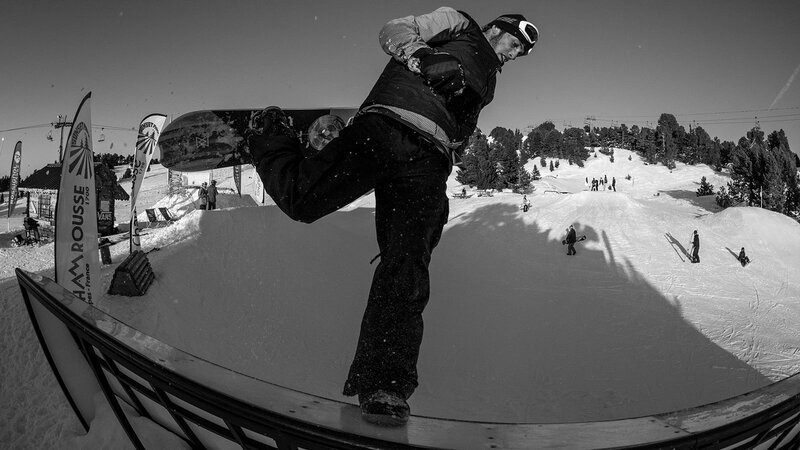 The EASY snowboards collective started four years ago. We wanted to do something positive for snowboarding and our philosophy is simple: we want to give our customers a good quality product, at a reasonable price, so they can still afford to ride and encourage more people to do the same. Who is on your management team, and what are their backgrounds? We manage the brand as a collective, we have people from within the snowboard industry and others coming from the snowboard scene, whether it be a school teacher or park builder and designer. We have one thing in common – we love snowboarding! The good thing about being part of a collective is that we are independent financially and can grow the business with more security and less pressure. We have a lot of flexibility and can be ready when we want to make a new product. We can adapt our business to the situation we face – as you know right now the market is moving rapidly and the attitude of the consumer change. Our product is made with high-quality materials, our technology is unique, but most importantly, we know snowboarding and we want to keep the boards at a reasonable price. We’ve worked hard to develop fun tech – our Magic Flex and Easy Grip edge technology for riding ice are two to look out for. We are working to expand our sales in key European countries like Austria and Germany, as well as in Japan too. We are still investing money in prototyping for new and exciting boards. What do you find important about the European market? The true spirit of snowboarding is coming back – carving, powder, having fun with friends, not focusing too much on competition and riding in the street. We are starting to see kids learning to snowboard again and that’s awesome. A fair-trade industry taking care of the sport we love, in good spirits and helping new people to join our passionate way of life. The core shops and other shops have difficulties to face with the changing business landscape and it’s important for us to help them live through that. Could you talk about your new collection? Our new collection is awesome. 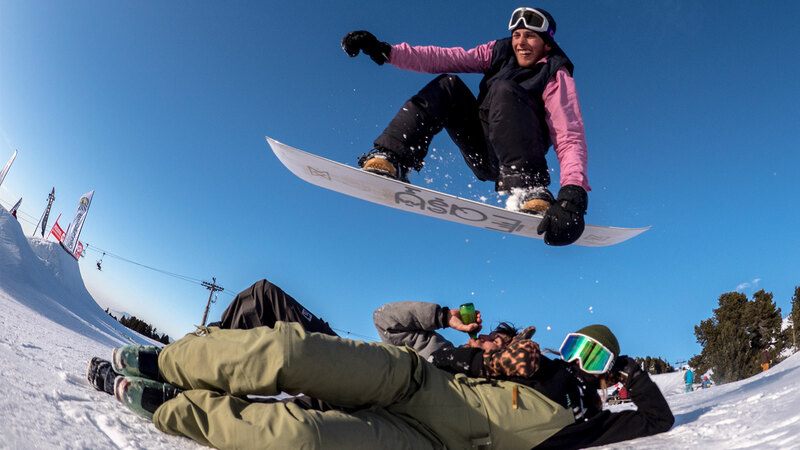 We still want to offer a big range of boards (22 models) – we’ve got freestyle focused boards, all mountain and freeride, as well as pure old-school guns because our purpose is to give the opportunity to riders to find their dream snowboard! We’re starting to see people building a real quiver with EASY and we are happy about that. Our latest news is the introduction of a splitboard at a really competitive price – 579€. What kinds of different technology are you developing? For freestyle we’ve created Magic Flex – the flex is completely different between your feet and around the nose and tail. You can find Magic Flex in our Noise and Black Torsion models. In our Wood Collection, we use a multi-edge sidecut that makes any kind of turn possible. If you mix our EASY Grip and Mellow EASY Grip tech with different cambers, you get a fun range of boards. What kind of relationship do you have with your shops? We create a real synergy with them. We are here to offer them product and help them to sell it. We offer them a demo centre and personalise our supply to their marketing needs. All the shops that we work with believe in our strategy, and as a result, they are making good sales with a good margin. Our way to support athletes and boardsports is to provide a good product to people, and this helps us to invest in new technology. We help athletes out with product, and we tell everybody about technical features to teach them about the snowboard science we are using.